I lose any sense of self control when Lush release new bath bombs and as we are approaching Autumn and the return of cold evenings, hot chocolate parties and plenty of baths... I just had to pick this one up. 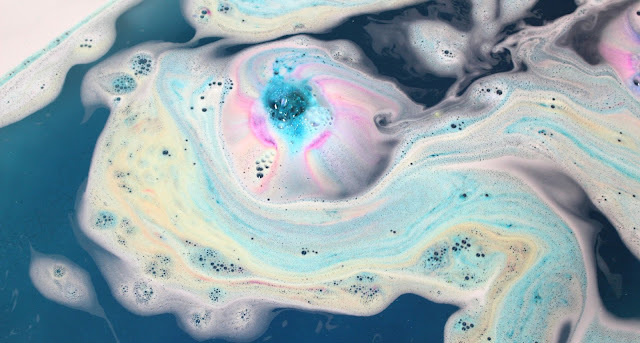 Firstly, how aesthetically pleasing is this bath bomb?! 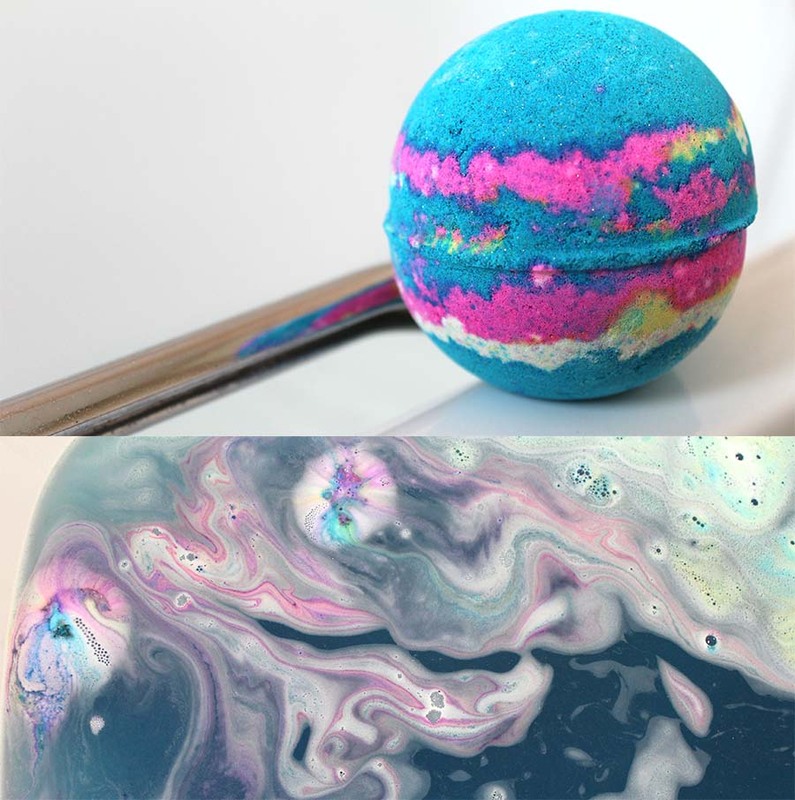 I initially wanted to pick up the experimenter alone but I was completely sold by the bright blue glitter complimented by the swirl of colour that creates a very bright and ‘space’ like feel. The smell is very different to any Lush bath bomb that I’ve used before, a very distinctive peppermint scent (similar to The Body Shop’s foot range) and I thought this would make it quite an uplifting product to use in the bath but it’s actually very relaxing and not at all stimulating. 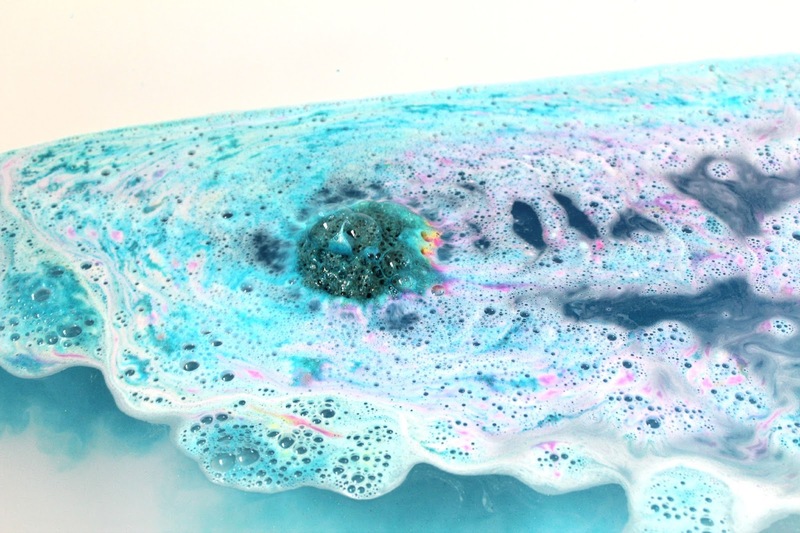 The water turned a beautiful shade of deep blue filled with glitter and popping candy (would recommend washing your hair after you’ve got out of the bath to avoid glitter highlights) obviously this doesn’t make it the most convenient of bath bombs as it does mean you have to clean up afterwards but it’s totally worth it & I can see this becoming an Autumn pamper staple. Make sure you head over to Dayna's blog and say hello!